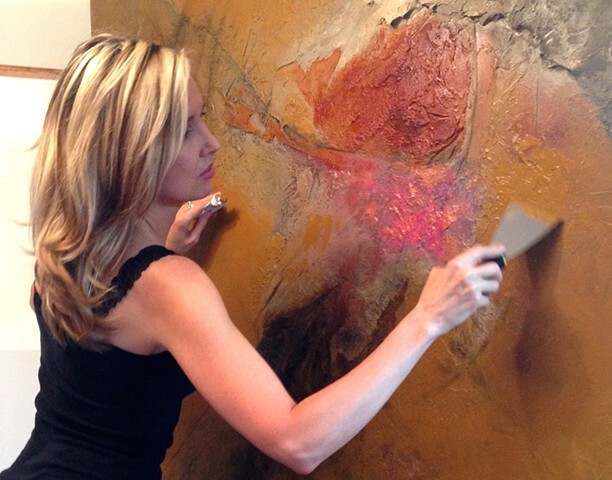 I view my process as an archeological unearthing of what lies beneath the surface. To me, the canvas represents an undiscovered territory waiting to be explored. In many ways, everything is already there in it’s blank state, but, deep within, the mystery becomes a reality. The further down I go, the piece reveals a new life hidden before. When I explore the world around me, I see decay everywhere. Some natural, some man made. I have found that the elemental exposure to the world and its environment exhumes the best inspiration. Rust. Urban decay. Old buildings left abandoned. Miles and miles of scrap metal. All of these discarded, abandoned memories reveal a life that is ready to witness a new day. The scars that nature presents to us are those that I create in my paintings. There is tremendous beauty in it and it’s my intent to bring new life to that which was left to die.